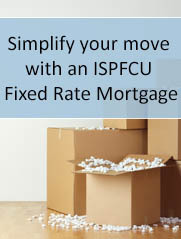 ISPFCU Preferred Financial Institution (PFI) members enjoy a 0.25% rate deduction on any non-mortgage or non-Visa loan and an additional 0.25% earning on any share certificate. Having a combined total of $20,000 on deposit (excluding checking account balances). Using three ISPFCU products or services in addition to the Regular Share Savings Account and having a combined total of $2000 either in loan balances or on deposit.